to be swallowed by azure eyes. catapult you closer to the earth’s core. a python gripping a weak, helpless calf. like chloroform enchanting you further asleep. to the base of the tower. in a last effort, fingernails claw up the stone. 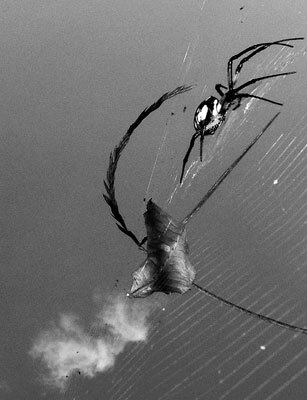 from the black widow’s web, caught like a fly. I wrote this abut infatuation and how easily it can be manipulated in teenage relationships. Someone you've known for a short while may be totally different than how they seem.